A celebration that makes other holidays turn green with envy, St. Patrick’s Day offers a heaping helping of Irish culture and folklore to revelers around the globe. This holiday was designed as an observance to honor Ireland’s patron saint; however, St. Patrick’s Day’s domain now reaches far beyond religion and into the secular celebratory sphere. In this edition of The StickerTalk, we invite you to the rolling, green hills of Ireland to unearth some surprising secrets surrounding this cultural celebration! Although St. Patrick is often referred to as Ireland’s foremost saint, St. Patrick was not Irish. A native of Wales, the benevolent clergyman traveled to the pagan country of Ireland to spread Catholicism, resourcefully equipped with a shamrock to visually explain the concept of the Trinity. St. Patrick proves a man shrouded by legend. One folktale claims the missionary eradicated all of Ireland’s snakes while another legend states that St. Patrick created the Irish tradition of Leap Day proposals by allowing impatient women to propose to their beaus on February 29 every four years. 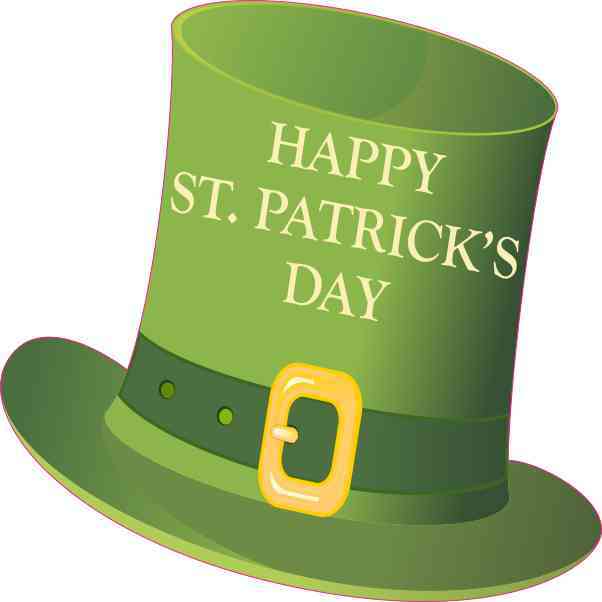 A plethora of superstitions are associated with St. Patrick’s Day. While the most well-known custom is arguably the wearing of green, the holiday’s original color was blue! Irish superstition also holds that St. Patrick’s Day is the luckiest day to get married unless, of course, St. Patrick’s Day should fall on a Saturday as Saturdays are the most unlucky days of the week according to Irish tradition. St. Patrick’s Day, although decidedly Irish in nature, is observed across the globe. In Sydney, Australia, the famous white silhouette of the Sydney Opera House was tinted green in honor of the holiday in 2010. A labor union in Chicago, Illinois, annually dyes the Chicago River green on March 17, and the President receives a gift of shamrocks from the leader of Ireland every St. Patrick’s Day. Next post: Choo Choo, All Aboard!